Cynthia Fountaine served Southern Illinois University School of Law as its first woman Dean from July 2010 - September 2017. She now serves as a professor of law. Before joining SIU, she was a professor of law at Texas Wesleyan University School of Law (now Texas A&M University School of Law) from 1997–2010, and served as Interim Dean of the law school from 2006–08. Fountaine was a Fulbright Senior Scholar at the University of Bayreuth in Germany during 2009-2010. She taught U.S. Constitutional Law and U.S. Common Law Methods to German law students. Also, in 2010, Fountaine worked with the American Bar Association’s Rule of Law Initiative worked in Amman, Jordan, focusing on legal education reform. She taught at the University of Cincinnati College of Law from 1992–97, and during the 2005–06 academic year, she was a visiting professor at Washington and Lee University School of Law. Prior to teaching, Fountaine practiced law at O’Melveny and Myers in Los Angeles, California, where she was a litigator. Fountaine holds a Bachelor of Science degree in Business Economics and Public Policy from Indiana University Bloomington Kelley School of Business and a Juris Doctor degree from the University of Southern California Gould School of Law. She is 2012 alumna of the Harvard University Institute for Management and Leadership in Education, and a 2015 participant in the Fulbright International Educational Administrators Program in France. Fountaine focuses her teaching and scholarship on issues relating to the powers of government and access to justice, with particular emphasis on the federal courts' role in enforcing individual rights. In addition, her scholarship explores the lawyer's role in assuring effective representation and participation in the judicial system. Her areas of expertise include civil procedure, legal globalization, federal courts, civil rights, the jury process, complex litigation, and legal ethics. Fountaine has been active in professional and community service as well. 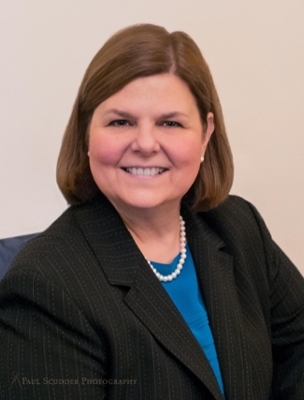 She serves on the Illinois Supreme Court Commission on Professionalism and was a member of the Deans’ Advisory Committee to the Illinois Supreme Court Commission on Access to Justice. In addition, she is chair-elect of the Association of American Law Schools Section on Women in Legal Education, and chaired the Section’s Ruth Bader Ginsburg Lifetime Achievement Award Subcommittee from 2013-2017. She is a member of the Executive Committee of the AALS Section on Professional Responsibility. She has been active on various committees of the International Association of Law Schools, and a volunteer for the American Bar Association’s Rule of Law Initiative. She has served on the Law School Admission Council’s Finance and Legal Affairs Committee and the Committee on Misconduct and Irregularities in the Admissions Process. She has also served on various ABA committees, and is a Life Fellow of the Tarrant County Bar Foundation. She has served as a member of the Board of Directors of Texas Re-Entry Services, and been a member of the Rotary Club of Fort Worth. In addition, she served on the Tarrant County Bar Association’s Diversity Committee. She is a member of the Illinois State Bar Association, the Jackson County, Illinois Bar Association, is admitted to practice as a member of the State Bar of California, and is a member of the Bar of the Supreme Court of the United States.